A republican arrested and charged after rioting in the Markets area of Belfast has had all charges withdrawn, after an intervention by the Public Prosecution Service. Gerard McEvoy had been charged with riotous assembly, throwing a petrol bomb and aggravated taking and driving away on 7 August 2017. A PPS representative intervened to withdraw all charges, which instead will be considered by way of a report. This approach by the Public Prosecution Service stands in stark contrast to the practices deployed during the Union flag protest when there was a robust attempt to remand almost every person arrested, the majority of which were on minor petty sessions charges. The fact that the PPS have went even further than agreeing to bail, but have withdrawn all charges, is inexplicable. This development will, once again, call into question the impartiality of the PPS. 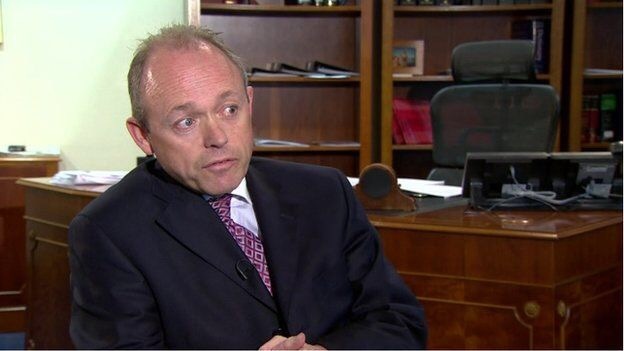 Many Unionists feel that there has been a distinctly partisan prosecutorial approach with a clear bias in favour of the republican community since the appointment of former IRA Solictor, Barra McGrory QC. 1,088 Responses to "NEWS: PPS intervene to withdraw charges against republican rioter "
This web page is mostly a walk-via for all of the info you needed about this and didn’t know who to ask. Glimpse here, and you’ll definitely uncover it. say concerning this piece of writing, in my view its genuinely amazing designed for me. talents as neatly as with the structure for your weblog. Hi there to all, how is everything, I think every one is getting more from this website, and your views are nice in support of new viewers. What’s up Dear, are you in fact visiting this web site regularly, if so after that you will absolutely obtain good experience. I realized it’s new to me. Anyhow, I’m certainly pleased I came across it and I’ll be bookmarking it and checking back frequently! Fine way of describing, and pleasant post to take facts concerning my presentation topic, which i am going to present in school. this before. So great to find another person with some unique thoughts on this topic. may I wish to counsel you few interesting things or advice. to withdraw charges against republican rioter | Unionist Voice <Liked it! enjoyment, for the reason that this this web site conations really good funny stuff too. It’s difficult to find knowledgeable people about this topic, however, you sound like you know what you’re talking about! I’m impressed, I must say. Seldom do I encounter a blog that’s both educative and engaging, and let me tell you, you have hit the nail on the head. a part of group where I can get feedback from other experienced individuals that share the same interest. Hi there! I just want to offer you a big thumbs up for the excellent information you’ve got here on this post. Hi to all, since I am truly keen of reading this web site’s post to be updated on a regular basis. Hello there, I discovered your web site by means of Google while looking for a related subject, your site came up, it seems great. you made to create this actual publish incredible. Excellent process! building a well-established website like yours require a lot of work? Hello Dear, are you truly visiting this website daily, if so then you will without doubt obtain nice know-how. Useful information. Fortunate me I found your website unintentionally, and I’m stunned why this coincidence did not took place earlier! Hello to every body, it’s my first pay a visit of this blog; this website includes awesome and in fact excellent data in support of readers. Hello colleagues, good article and good urging commented here, I am in fact enjoying by these. popping it up all over the web without my permission. Do you know any ways to help prevent content from being stolen? I’d really appreciate it. saying it. You’re making it enjoyable and you still care for to keep it wise. Asking questions are in fact good thing if you are not understanding anything entirely, however this piece of writing presents pleasant understanding even. I am in fact delighted to read this website posts which includes tons of useful data, thanks for providing these kinds of data. bookmarking for revisiting. I surprise how a lot attempt you set to create one of these magnificent informative web site. Its such as you learn my thoughts! You seem to grasp a lot approximately this, such as you wrote the guide in it or something. This piece of writing presents clear idea in support of the new users of blogging, that in fact how to do blogging. fantastic informative piece of writing here at my home. Nice response in return of this query with genuine arguments and explaining all about that. as i want enjoyment, for the reason that this this web page conations genuinely fastidious funny information too. listen news on Television, so I only use web for that purpose, and take the newest news. Great goods from you, man. I have be aware your stuff previous to and you are simply extremely magnificent. in which in which you are saying it. You’re making it entertaining and you still care for to stay it smart. get irked even as other folks think about concerns that they plainly don’t recognize about. I’ve virtually no understanding of programming but I had been hoping to start my own blog in the near future. Thankfulness to my father who shared with me regarding this webpage, this website is really awesome. May I just say what a comfort to find somebody who actually understands what they’re talking about over the internet. I wish to express some appreciation to you for rescuing me from such a circumstance. Because of checking through the online world and finding ways which were not helpful, I believed my entire life was well over. Existing without the presence of strategies to the difficulties you’ve solved all through your entire posting is a critical case, as well as those which may have adversely affected my entire career if I hadn’t noticed the blog. Your main competence and kindness in maneuvering almost everything was crucial. I’m not sure what I would have done if I had not come across such a step like this. I’m able to at this moment look ahead to my future. Thank you so much for your expert and results-oriented guide. I won’t hesitate to endorse your blog post to anyone who will need assistance about this problem. I do trust all the concepts you have offered in your post. They’re really convincing and can certainly work. Still, the posts are very short for starters. Could you please lengthen them a little from next time? Thank you for the post. Hello, i believe that i saw you visited my web site so i got here to “return the want”.I am attempting to find issues to improve my website!I suppose its good enough to make use of some of your ideas!! info you have here on this post. I am coming back to your site for more soon. searching for a similar matter, your site got here up, it seems good. Quality content is the crucial to be a focus for the visitors to pay a visit the site, that’s what this site is providing. back to your webpage? My website is in the very same niche as yours and my visitors would really benefit from a lot of the information you provide here. republican rioter | Unionist Voice <Loved it! this actual post extraordinary. Excellent activity! Thank you, I’ve just been searching for information about this topic for a while and yours is the greatest I have found out till now. tips and hints for newbie blog writers? I’d really appreciate it. more brought agreeable from you! However, how could we communicate? You recognize thus considerably on the subject of this topic, produced me for my part imagine it from a lot of numerous angles. You completed certain fine points there. I did a search on the subject matter and found nearly all people will consent with your blog. Hello there, I found your web site by way of Google whilst looking for a similar topic, your web site got here up, it looks great. I’ve bookmarked it in my google bookmarks. in which you say it. You make it entertaining and you continue to take care of to stay it sensible. you using for this website? I’m getting sick and tired of WordPress because I’ve had issues with hackers and I’m looking at options for another platform. intervene to withdraw charges against republican rioter | Unionist Voice <Liked it! Awesome! Its truly awesome paragraph, I have got much clear idea on the topic of from this paragraph. Hi there, You’ve performed a great job. I’ll certainly digg it and in my view suggest to my friends. platform are you using for this site? I’m getting sick and tired of WordPress because I’ve had problems with hackers and I’m looking at alternatives for another platform. Thank you for every other informative web site. Where else could I am getting that type of info written in such an ideal manner? inspired! Very useful information specially the last phase 🙂 I deal with such information a lot. searching for a related matter, your site got here up, it appears good. Hi there, simply turned into aware of your weblog via Google, and found that it is really informative. Good day! I simply would like to offer you a huge thumbs up for the great info you’ve got right here on this post. Hi, i feel that i noticed you visited my website so i came to “go back the desire”.I’m trying to find things to improve my web site!I guess its ok to use some of your concepts!! Attractive section of content. I just stumbled upon your blog and in accession capital to assert that I get in fact enjoyed account your blog posts. Anyway I?ll be subscribing to your feeds and even I achievement you access consistently fast. off subject but I simply had to ask. Thanks a lot! taking the time and energy to put this content together. I once again find myself personally spending a lot of time both reading and posting comments. while searching for a related matter, your web site got here up, it appears to be like great. I feel I might never understand. It sort of feels too complex and extremely broad for me. I am looking ahead to your subsequent put up, I will attempt to get the cling of it! be a taboo matter but typically people do not talk about such topics. It’s awesome to visit this site and reading the views of all colleagues regarding this piece of writing, while I am also keen of getting familiarity. Hello, after reading this amazing piece of writing i am as well cheerful to share my knowledge here with friends. of interest as yours and my users would certainly benefit from a lot of the information you provide here. Very great post. I just stumbled upon your weblog and wished to mention that I have truly enjoyed surfing around your blog posts.